West Coast Model RC are very proud of their recent works, the major upgrade and resurfacing of their on road circuit in preparation to hosting the 2017 AARCMCC Australian EP ONR National Championships in November! The original track, which was built well over 20 years ago, has not been completely resurfaced since its original construction, and has stood the test of time in Moojebing Reserve, Bayswater. This year, the club decided it was time to change things up, with original plans to simply put in some bitumen cut-outs for additional layout options. These plans quickly blew out to a complete overhaul, with cutouts and a resurface of the circuit. The new surface should last a lot longer, and the cutouts will provide plenty of layout options for WA’s on road racers to play on. This work is the focal point of the buildup towards hosting the 2017 AARCMCC Australian EP On Road National Championships on November 2-5, right here at WCMRC! 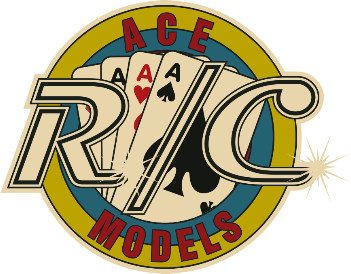 Personally, this makes me want to build up a tourer and go back to my RC Racing beginnings, but I’m thrilled to be a part of a growing RC scene here in WA, and also to be trackside announcing the show! Event info and entry forms, including hotel and tire information is all coming soon from WCMRC, follow the club on Facebook to stay in the know, and I hope to see plenty of faces here for the Nationals! The Launceston R/C Cup as cemented itself as a must do event in the depths of winter each year with its indoor, off road layout being predominantly carpet with some astroturf. With the cold being the only weather to effect the race (and it certainly froze competitors from around the country last year) it is one race that you can bank on happening without weather delay. 1:8th E.P. OFF ROAD Buggy – a minimum of 10 entries is required for this class to run. Buggy and truggy are 15 car, 45min finals. Sportsman finals are 20mins each for Buggy and Truggy classes. The event will run under the 2015 AARCMCC event format. This event is strictly limited to 120 entries in total (Sportsman entries not included), please note the drivers acceptance will based when you have paid rather then nominated. $60 for first class, $40 for extra classes. Accommodation located near the track.